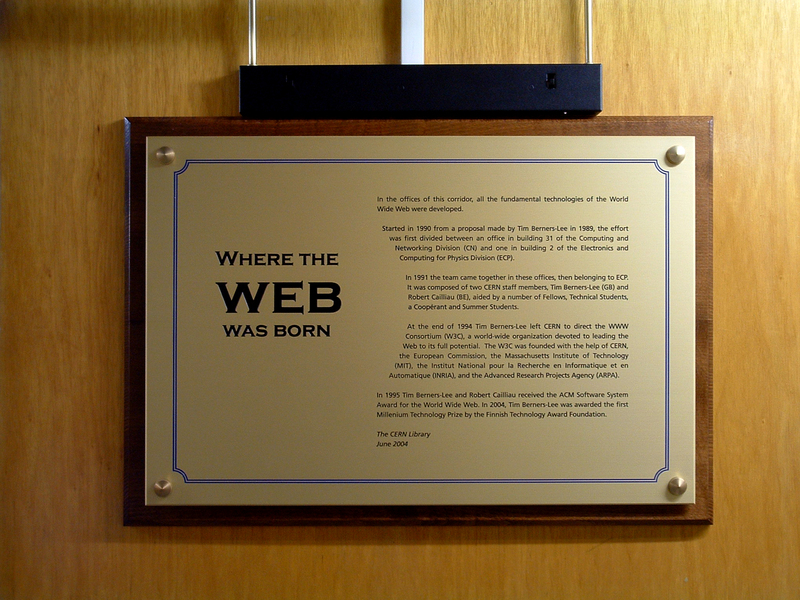 Twenty years ago, on 13th March 1989, Tim Berners-Lee wrote the original proposal for what was to become the World Wide Web. Happy birthday! I worked at CERN from around 1990 to 1994 in an office just across the road from Tim. I still remember going to one of his early presentations and afterward saying that if is a nice idea but “it will never take off.” If you read this Tim: sorry: you were right and I was wrong (but perhaps you shouldn’t have presented it as a way of doing collaborative detector design: I still don’t think we have enough bandwidth for collaborative CAD/CAM but I left CERN in 1994 so maybe things have evolved).